1-on-1's are a fantastic way to keep in touch with your manager. Over the last two years, we've seen tremendous growth with SproutMark as it enables more and more teams to grow together. Today we're announcing a whole new way to stay in touch and build your team. We call it "Huddle Questions". 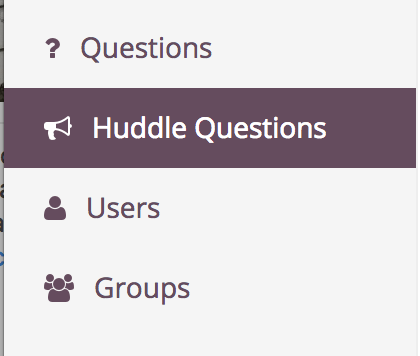 Huddle Questions allow for group conversations across your entire team. Consider 2-3 questions to go out throughout the week. As an example, you might start the week asking "What are you working on this week? ", then ask a more "ice breaker" question mid-week like "What are you reading or listening to these days?" Then wrap up the week with some reflection: "What did you learn this week?" 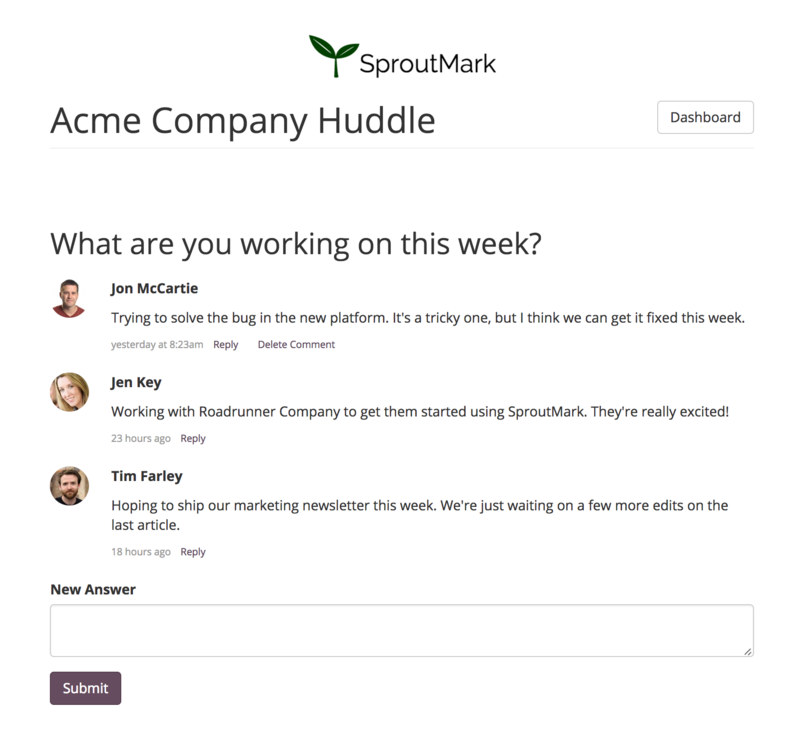 Your team will get an email in the morning when a Huddle Question is open for answers. Then another email the day afterwards as a chance to review the previous day's answers. 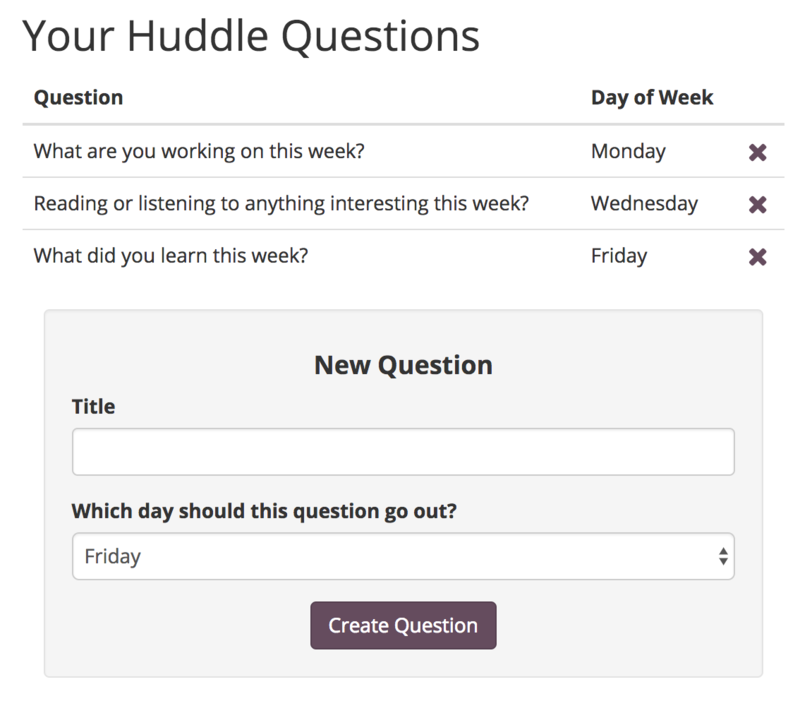 Huddle Questions are a great way to stay connected as a team. We hope you enjoy this new feature as it brings your team closer together!